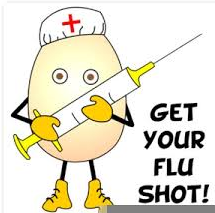 Rochester Emeriti will have several options to receive their flu vaccinations this year. While Emeriti will not be able to use the employee walk-in vaccination centers on campus, the options below offer many convenient locations and times. Appointment lines open on Oct. 3: Please call your primary care site for an appointment. Scheduled appointments begin on Oct. 15: Scheduled flu-vaccine-only visits take place Monday through Friday at all primary care sites during regular patient hours. For patients age 8 and older who do not require a private examination room. Northeast and Northwest Clinics, through Nov. 30. Hours, all sites: Monday through Friday, from 8 a.m. to 11:30 a.m. and from 1 p.m. to 30 minutes before closing. For non-employee adult patients age 18 and older (without a primary care provider) who have a Mayo Clinic number. Hours: Monday-Thursday, 8 a.m. to 3:30 p.m., and Friday, 8 a.m. to 2 p.m.
After Nov. 16, providers will need to order a flu vaccine for patients to obtain appointments at the Immunization Clinic.